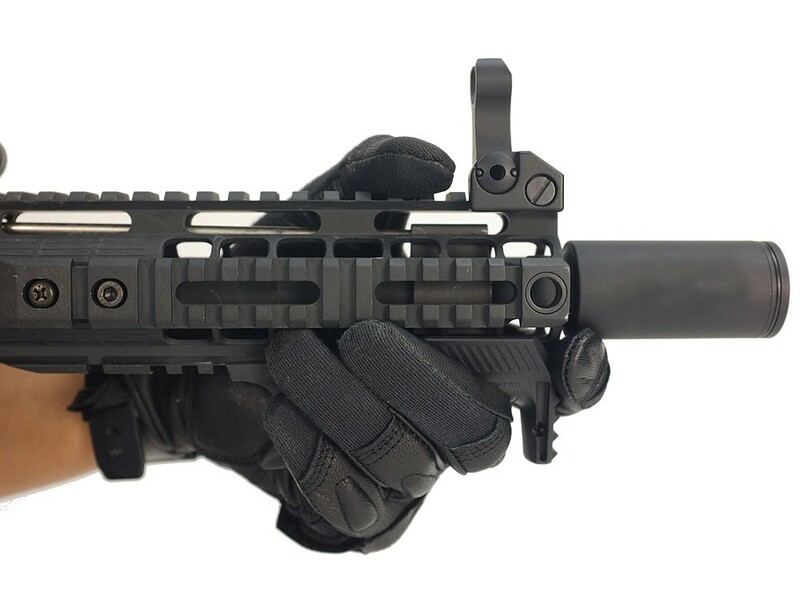 The Strike industries cobra grip was developed using innovation and feedback from combat veterans. The cobra grip is made from advanced polymer which is very strong and will definitely take a beating. 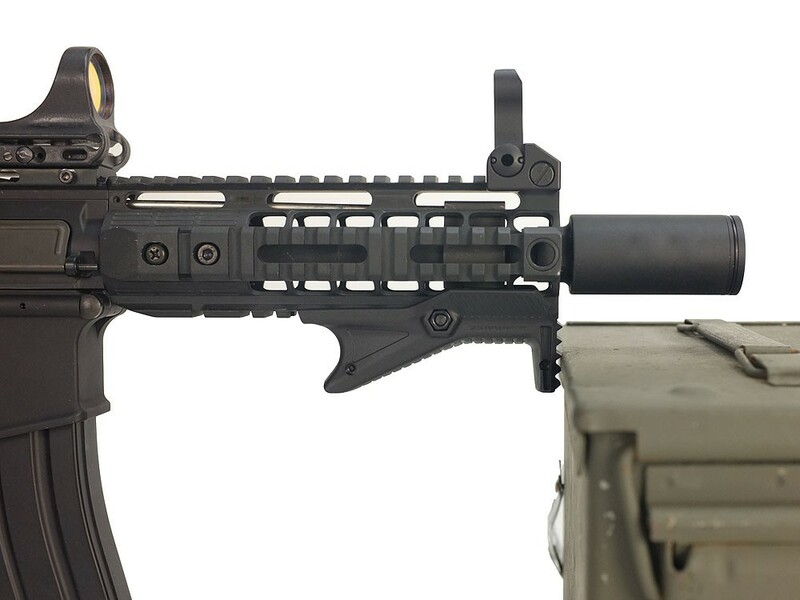 The shooter can use different grip techniques and allows the user to have a secure and comfortable grip in any situation or position. 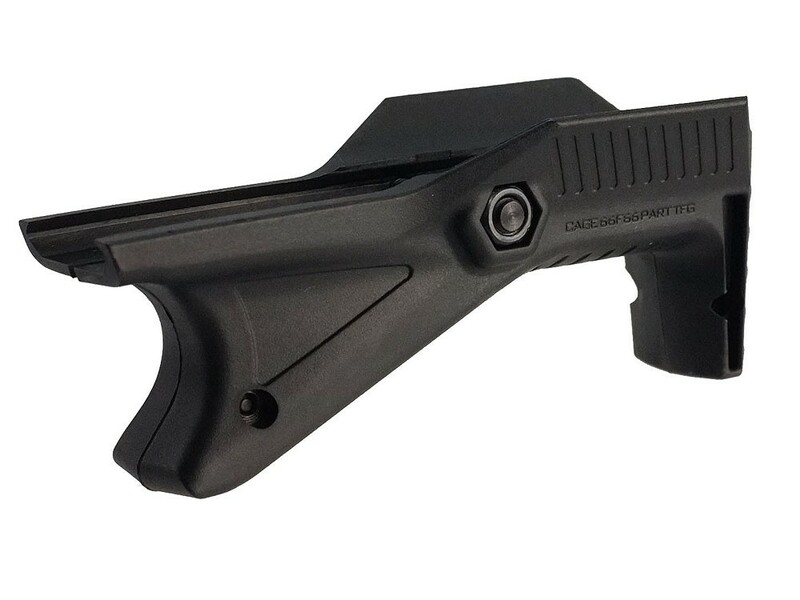 It features a ridged front face that allows you to brace the rifle against a table or a wall and because it is ridged, it will prevent any sliding during the recoil kick. Another unique feature is the Cobra ?hood?. It acts like a heat shield that will prevent the heat from going to your hands and gives your lead hand an ergonomic platform to use. The rear portion of the Cobra Grip can function as a hand stop. One advantage that the SI Cobra Grip has over its competitors is the friction lock design. 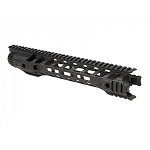 Material has been removed from the center so when tightening the Main Screw, it will allow it to grip the rail system and thus preventing any wobbling due to lose fitment or over use of the grip. 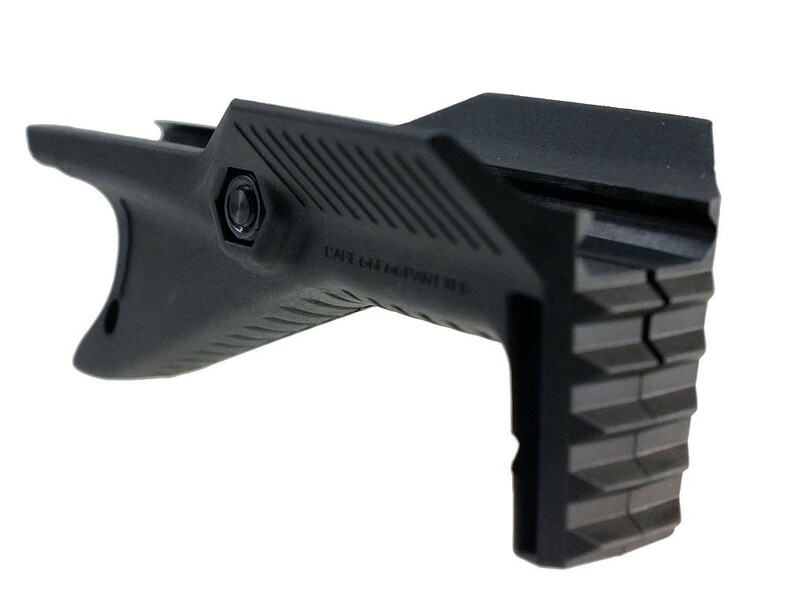 The Strike industries Cobra grip is slim and low profile which makes it very light weight. Shooters from all walks of life and different size hands can use the Strike Industries Cobra Grip without worrying if the grip is too big or the angle would be too aggressive that it would strain your hand. It is very ergonomic and economical.